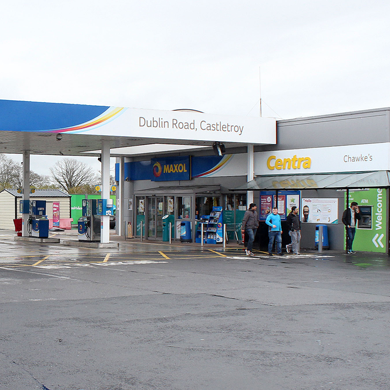 On Saturday 12th December Maxol & Licensee Tom Duggan are inviting customers to join us at Maxol Centra Castletroy, Dublin Road, Limerick to celebrate the “New Look” Service Station. We have lots of prizes and giveaways to be won on the day and we are running a 10cpl fuel discount from 10am-10pm on the 12th for all customers who register with us below. Limerick’s Live 95fm Shadow Crew will be at the station promoting the event with lots of fuel and car wash vouchers and centra prizes to be won. For the kids Santa will be giving out some treats from his grotto and his elves will be busy face painting! We look forward to seeing you there on the 12th! Good news, once you register below we will also enter your details into the draw for a mini-ipad, just in time for Christmas!